Our purpose is to share the Gospel of Jesus Christ and to shepherd, mentor and creatively communicate God’s Word. Dr. Oberholtzer is President and Founder of Grace Rock Ministries, a ministry committed to teaching, discipleship and writing on the grace gospel of Jesus Christ. His goal is to creatively and accurately teach God’s Word to all ages. Through a variety of teaching styles and methods such as visuals, power point, handouts, and object lessons, he has allowed the Holy Spirit to use the gifts he has been given to reach many people. Kem’s objective and life passion is to shepherd, mentor and creatively communicate the Scriptures to the Body of Christ with the goal of moving believers toward spiritual maturity and a deeper walk with Christ. He is deeply committed to the discipleship and development of godly character in men and women. Dr. Oberholtzer has taught for Grace School of Theology, Professor of Biblical Literature (2002-2009), Tyndale Seminary and Southwestern Bible College, Adjunct Faculty (2000-2002), Phoenix Seminary, Professor of Biblical Literature (1990-2000) Academic Dean (1998-2000), and Dallas Theological Seminary Lay Institute (1984). While at Phoenix Seminary, Kem taught classes on the geography of Israel, with an emphasis on archaeology, concluding the class with a 17 day tour of the Holy Land. 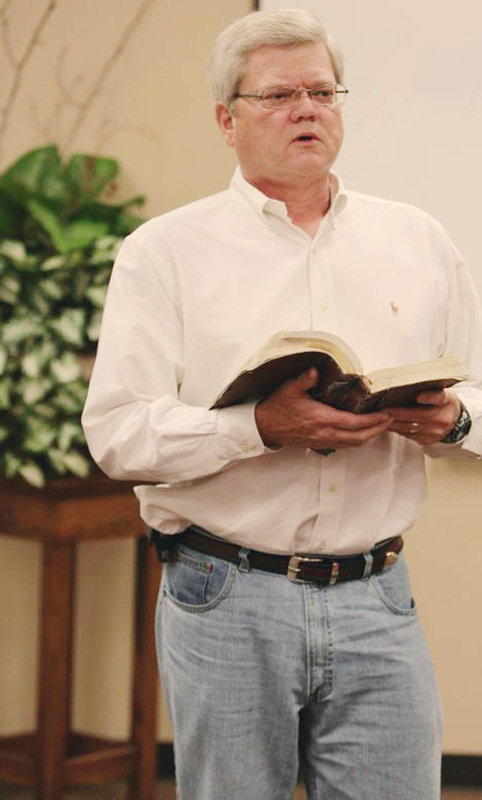 In addition to teaching in the classroom, Dr. Oberholtzer has been a regular conference and retreat speaker in the U.S. and overseas, speaking on topics such as End Times/Prophecy, Marriage and Family, Spiritual Life, Habits of Holiness, Living as a Man of Integrity, Sexual Intimacy in Marriage, Warning Passages in the Book of Hebrews, and missions’ conference in The Czech Republic. Before transitioning to teaching in the classroom, Kem was Pastor of Victoria Bible Church in Victoria, Texas (1984-1990). In addition to preaching, he trained men for leadership and taught discipleship classes for those desiring to grow in their faith. Mentoring has always been a major emphasis of Kem’s life and ministry, both in the academic setting and in the local church. Kem is currently a member of Faith Bible Church in The Woodland, Texas. He believes strongly in the importance of being involved in the local church so therefore serves through mentoring, encouraging, weddings/funerals, baptisims, counseling, shepherding, and teaching adult classes. Kem has been married to his college sweetheart, Jan, for over 45 years and has two grown children, Mollie (married to Bard, pastor of Fellowship of the Crossroads in Victoria, Texas, with two children), and Luke. Kem and Jan reside in The Woodlands, Texas.